A five-judge Constitution Bench headed by Chief Justice Dipak Misra and comprising Justices A K Sikri, AM Khanwilkar, D Y Chandrachud and Ashok Bhushan passed the landmark verdict on a batch of petitions challenging the constitutional validity of Aadhaar. 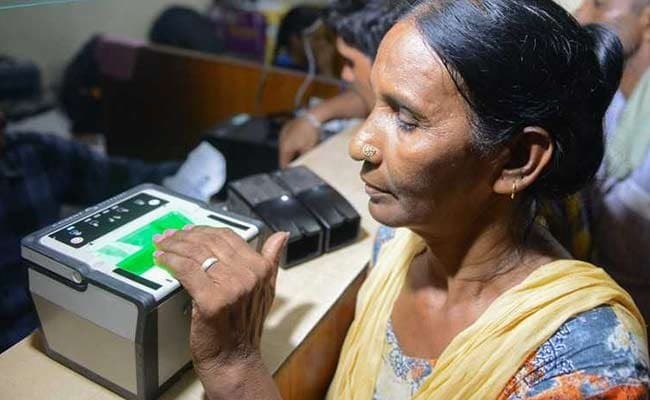 The Supreme Court on Wednesday upheld the constitutional validity of Aadhaar and said that it empowers the marginalised sections of the society. The ruling, however, came with certain caveats with the top court mandating that the 12-digit identifier will not be required for obtaining SIM cards and opening bank accounts. In Wednesday's verdict, the apex court also stated that Aadhaar will not be mandatory for school admissions, UGC, NEET and CBSE examinations. However, the linkage of Permanent Account Number (PAN) cards with Aadhaar remains compulsory. Supreme Court has struck down Section 57 of the Aadhaar Act, hence private companies can no longer ask for a consumer's Aadhaar details. The judgement was passed with a 4:1 majority with Justice D Y Chandrachud's having a dissenting view. He stated that Aadhaar may possibly lead to profiling of voters. Justice AK Sikri read out the verdict and stated that Aadhaar empowers the marginalised section of the society and gives them an identity. "Aadhaar is also different from other ID proofs as it can't be duplicated," he stated. "It is better to be unique than being the best and Aadhaar is unique," he added. The Court further said that minimal demographic and biometric data of citizens are collected by the Unique Identification Authority of India (UIDAI) for Aadhaar enrolment and the Aadhaar number given to a person is unique and can't be provided to any other person.